Are you looking for a simple and effective way to work on past-present-future verbs with sentence frames? Then this is the freebie for you! 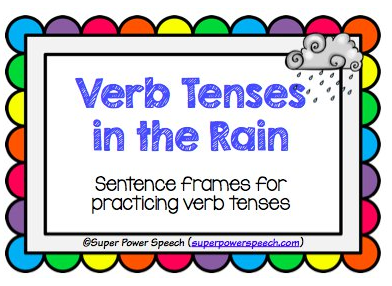 And if you've had the rain that we've been having then your students will feel right at home practicing verb tenses about rainy day activities! Click here to get your freebie and all my lesson plans for April!